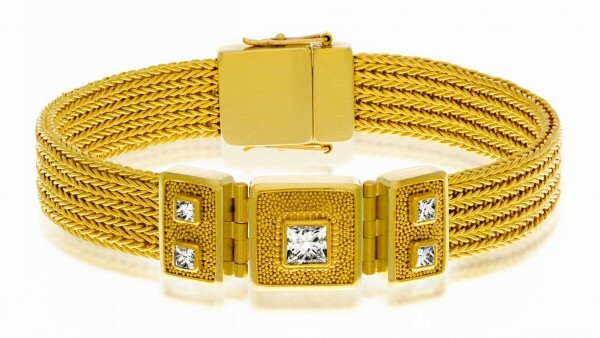 22K gold and 18K gold featuring 1.02 ctw princess cut diamonds with a hand-woven strap and box clasp. This bracelet is 7” long and 15/32” wide. This piece may also be reproduced in other sizes.